A budding young talent Alex Antetokoumpo has great physical attributes. The younger brother of Giannis Antetokoumpo, Alex has great expectations of him and could begin to meet them this spring playing for Phenom University as he’s equipped with size, plus length, athleticism, and an evolving skill set. A skilled combo guard Brayton Bailey is one of the top of top 2020's in Indiana. Making his debut at 17U, Bailey should take a step forward this spring and he’s a young talented guard prospect to watch out for. 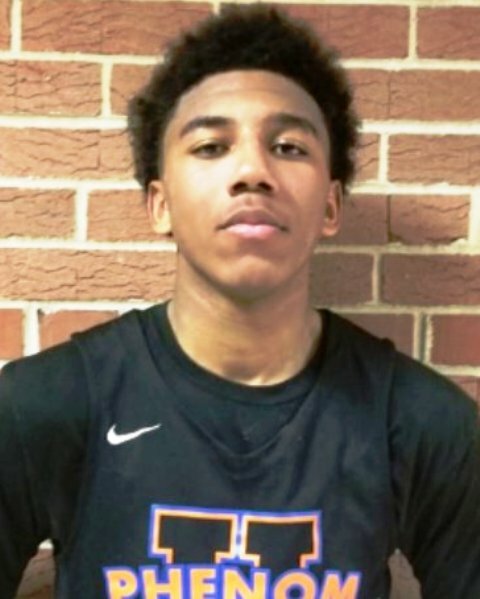 A rising prospect with division one talent, a native of Wisconsin Reece Beekman is one of the top prospects from the 2020 class and a potential top 50 national prospect big picture wise. Beekman has a chance to play a major role this spring for Phenom and add to his offers that already include Tulane, Georgia Tech, and Kansas State. One of the top front Court prospects from Missouri's 2020 class, Kobe Clark is a solid prospect. Coming off a productive high school campaign Clark seems ready to demand interest from college coaches this spring. The premier wing guard prospect from Missouri's 2020 class and one of the top prospects in the Midwest Cameron Fletcher has unlimited potential. A prospect that is coming into his own this spring, Fletcher is already holding multiple division one offers and he’s on the verge of breaking into another level recruitment this spring with Brad Beal Elite. One of the top prospects from Tennessee 2020 Marcus Fitzgerald is an emerging national talent. Fitzgerald produced at a high level during his high school season and he’s primed for a big spring. Fitzgerald will be surrounded by high-level talent as he joins Brad Beal Elite to play this spring and should add to his offer sheet. Frierson is one of the top shooting guard prospects from Minnesota's 2020 class and has the potential to be step into the spotlight after recovering from an injury last spring. Frierson has many of the tools coaches seek out and he should be able to display those talents this spring with Gain Elite. The top prospect from Wisconsin's 2020 class and one of the premier guard prospects in the class nationally, Jalen Johnson is a high major impact stud. Johnson’s stock has continued to rise through this fall and he’s primed to make major noise on the big stage this summer. He’s added offers from Georgia Tech, Florida, and Kansas State over the past two weeks. One of the top prospects from Minnesota's 2020 class, Lockett is one of the premier point guard prospects in the Midwest. A prototype lead guard with an advanced skill set, Lockett has been flying under the radar due to injuries. If healthy his stock could rise into four star caliber recruitment. A skilled scoring combo guard, Caleb Love is one of the top prospects in Missouri's 2020 class and amongst the top guard prospects in the Midwest. Love has been demanding interest from coaches. He holds multiple division one offers and could see his stock hit an all-time high this spring. A dynamic and talented guard prospect Adam Miller is a five star caliber prospect and amongst the elite in the class nationally. Miller is one of the most sought-after guards in the class and he’s already holding multiple high-major offers. Miller should be a major target this spring. The top 2020 class prospect from Arkansas and one of the elite guards in the class nationally, Moses Moody is a stud. Moody will be making his debut playing on Brad Beal Elite 17U this weekend and he’s definitely a prospect to keep eyes on. A sharpshooting guard with length and athleticism, Polk had a huge high school season and he’s primed for a strong spring as well. He recently added an offer from Kansas State and he’s another of the high major 2020 prospects in the gym this weekend to watch closely. 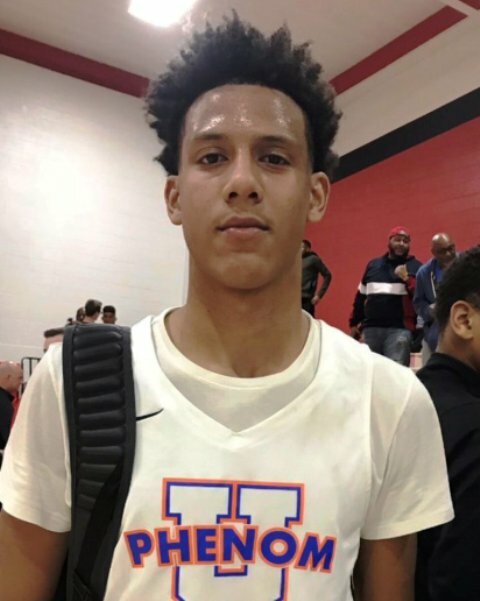 A talented scoring wing with the ability to finish at each level, Rivera had a stellar high school campaign and he’s one of the 2020 prospects in the Midwest that’s primed to break out in big fashion this spring. The stand out prospect from the Chicagoland area and one of the premier guard prospects in the class nationally, DJ Steward has major game. Already holding a multitude of high-major offers Stewart is one of the top guards in the 2020 class nationally. One of the top prospects from Indiana's 2020 class and one of the premier point guard prospects in the Midwest, Mike Saunders Jr is a prototype point guard. A very skilled guard with game, Saunders already has multiple division one offers and looks ready to add to that this summer playing with G3 Grind. An athletic wing guard Nate Santos has shown great potential this high school season. One of the top prospects from Illinois 2020, expect Santos to take the next step forward in his recruiting with a big spring and summer campaign. 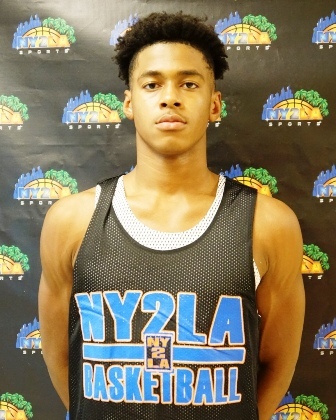 A long wiry athletic forward with versatility, instincts, and skill, Sibley can play above the rim, slash in transition, defend each position, and he’s a solid presence altering shots defensively. Fresh off a strong high school season, Sibley is primed for a big spring. He holds offers from UNLV, Kansas State, UW-Green Bay, UW-Milwaukee, etc. One of the premier prospects in the class nationally Jalen Suggs is a five-star caliber prospect. Coming off back-to-back State title runs for Minnehaha Academy and returning for his third season at 17U, Suggs is on par to be a dominant force at the guard position this spring for Grassroots Sizzle. A talented scoring guard who can fill the box score and control the tempo at times, Taylor is an excellent multi-dimensional guard who’s just hitting his stride. He holds an offer from UNLV.